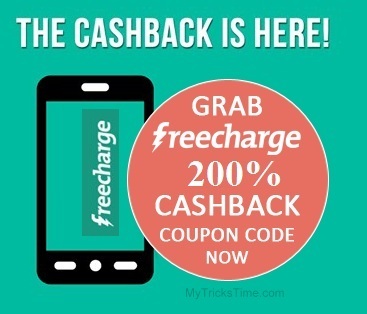 Hello Guys, On This last day of 2015, FreeCharge is offering 200% cash back, yes its true you can get upto 200% cash back you can get on recharge and bill payment of Rs.50 or more. so don’t waste your time and read article to know how you can get this and try your luck. Do Recharge for Rs.50 or above. Make Payment via your Debit or Credit card. Valid on successful Recharges & Bill payment done only on Only 31th Dec 2015. Valid Only on minimum recharge of Rs.50, Max cash back of Rs.100 and minimum cashback is Rs.5 per transaction.